PureBond® Formaldehyde-Free Veneer Core Industrial Platforms. Industrial veneer core platforms made from FSC®-certified hardwoods. Available in “Industrial” and “Industrial C” types. Suitable for a range of laminating, painting and framestock applications, these platforms satisfy the formaldehyde emission and content requirements of LEED® projects, CARB limits and general green building guidelines. No Added Urea Formaldehyde composition. Satisfies LEED®, CARB, and Green project requirements where urea formaldehyde emissions are limited or prohibited. FSC-Certified platform construction. Can contribute to LEED® credits. Smooth, flat and consistent laminating surface. 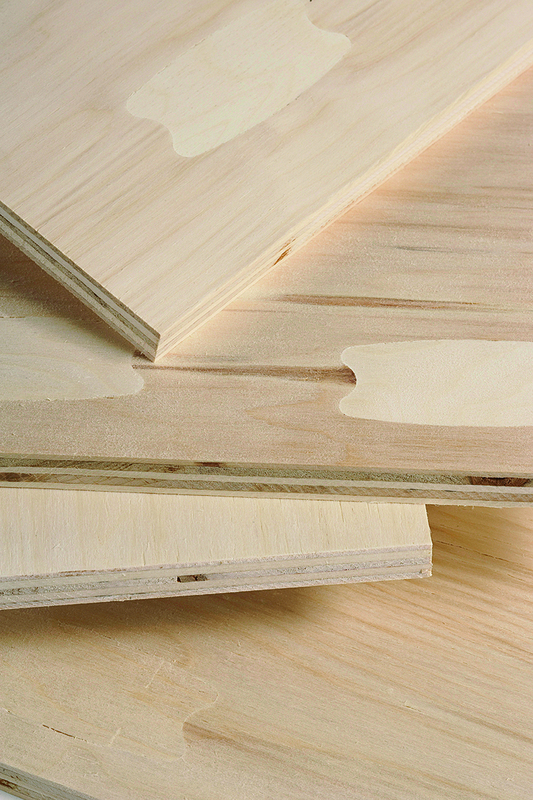 Suitable for high-pressure laminate, veneer or other specialty surface treatments and for use as furniture framestock. Domestically produced. Manufactured in North America; assures timely availability to eastern Canada and north and eastern US. Dependable thickness for joining and machining. Made with soy-based PureBond® technology. A proven solution, with over 30 million panels in the market today. Strong. Superior strength compared to composite core (MDF/PBC), reduced field failures. Lightweight. Lighter than MDF or PBC; ease of handling; less risk for back injury to work force. Veneer Core. Enables an “all wood” status for finished products. Produced by Columbia Forest Products. 50 years of hardwood plywood leadership.